This article is about the city in Inner Mongolia. For the district of Mongolia, see Khölönbuir, Dornod. Hulunbuir or Hūlúnbèi'ěr (Mongolian: ᠬᠥᠯᠥᠨ ᠪᠤᠶᠢᠷ ᠬᠣᠲᠠ Kölön Buyir qota; Chinese: 呼伦贝尔市, Hūlúnbèi'ěr) is a region that is governed as a prefecture-level city in northeastern Inner Mongolia, in China. Its administrative center is located at Hailar District, its largest urban area. Major scenic features are the high steppes of the Hulun Buir grasslands, the Hulun and Buir lakes (the latter partially in Mongolia), and the Khingan range. 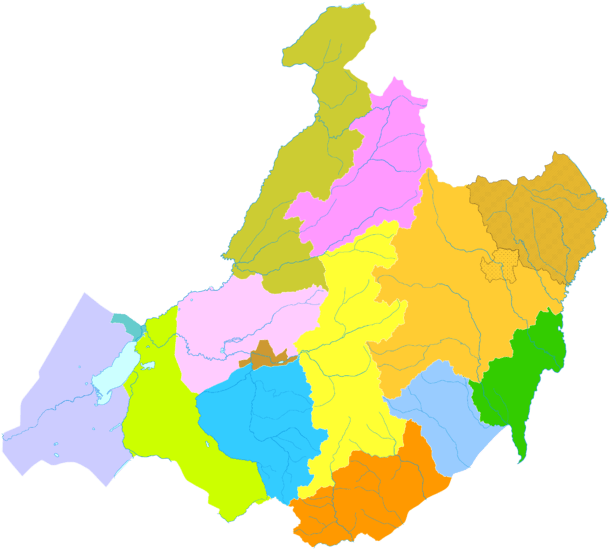 Hulun Buir borders Russia to the north and west, Mongolia to the south and west, Heilongjiang province to the east and Hinggan League to the direct south. Hulunbuir is a linguistically diverse area: next to Mandarin Chinese, Mongolian dialects such as Khorchin and Buryat, the Mongolic language Dagur and some Tungusic languages are spoken there. 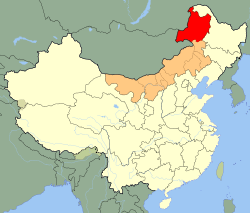 After the 1949 Communist revolution, Hulunbuir was annexed into Inner Mongolia, but the region kept economic ties to the rest of the northeast via the Chinese Eastern Railway. During the Cultural Revolution, the parts of historical Manchuria inside Inner Mongolia were briefly restored to their original provinces; Hulunbuir was given back to Heilongjiang from 1969 to 1979. Until October 10, 2001, Hulunbuir was administered as a League. The area is 263,953 km2 (101,913 sq mi) and had a population of 2.710 million in 2004, while the gross domestic product was RMB 21.326 billion. 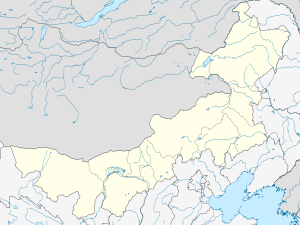 The jurisdiction area of the city is larger than all but 8 Chinese province-level divisions (and 42 U.S. states), although the actual urban agglomeration is just a very small part of the region, and the average population density of the area is very low. 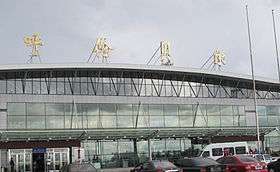 The city was once a league (盟) of Inner Mongolia, until 10 October 2001. During the Qing Dynasty, it was known in Mandarin as Hūlúnbùyǔ'ěr (simplified Chinese: 呼伦布雨尔; traditional Chinese: 呼倫布雨爾). Hulunbuir is divided into 13 different county-level jurisdictions: one district, five county-level cities, four banners and three autonomous banners. but subordinate to Daxing'anling Prefecture in Heilongjiang. 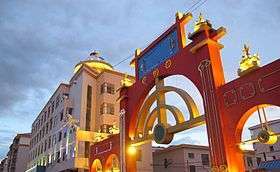 Part of Oroqin Autonomous Banner is subordinate to Daxing'anling Prefecture in Heilongjiang. The city proper of Hulunbuir itself (Hailar) has a humid continental climate (Köppen Dwb) bordering on a subarctic climate (Köppen Dwc), although the northern part of the prefecture-level city is solidly subarctic. Winters are long, very dry and severe, due to the semi−permanent Siberian High, while summers are short, though very warm, and rather wet, due to the East Asian monsoon. At Hailar, the monthly 24-hour average temperature ranges from −25.1 °C (−13.2 °F) in January to 20.0 °C (68 °F) in July, while the annual mean is −0.96 °C (30.3 °F). With at least 55% of possible sunshine in all months and an annual total greater than 2,700 hours, sunny weather dominates year-round. Approximately 70% of the annual rainfall occurs during the three summer months. ↑ Tang, Peter SH. "Sino-Soviet Territorial Disputes: Past and Present." Russian Review (1969). p. 406. 1 2 Shabad, Theodore (1972). China's Changing Map: National and Regional Development, 1949-71. Taylor & Francis. pp. 237–239. ↑ 中国地面国际交换站气候标准值月值数据集（1971−2000年） (in Chinese). China Meteorological Administration. Retrieved 2011-01-16. Hulunbeier minzu wenwu kaogu daxi. Elunchun Zizhiqi juan = Hulunbuir Ethnic Cultural Relics and Archaeology Series. Oroqen Autonomous Banner. Beijing : Wenwu chubanshe, 2014. 255 p., ill. (chiefly col.), maps, biblio. ISBN 9787501039517. Hulunbeier minzu wenwu kaogu yanjiu. Beijing : Kexue chubanshe, 2013-2014. viii, 538, viii, 537 p., ill., maps, biblio. ISBN 9787030393463, -4033. Bökecilagu. Kölün Boyir-un sonirqal-ud. Qayilar : Ȯbȯr Mongġol-un Soyol-un Keblel-u̇n Qoriy-a, 1988. 2, 8, 217 p. ISBN 9787805060231. Möngkedalai. Hulunbeier samanjiao yu lamajiao shilüe = Kölün Boyir-un böge-yin śasin kiged lama-yin śasin-u tobci teüke. Beijing : Minzu chubanshe, 2014. 5, 4, 545 p., ill., biblio., index. ISBN 9787105130573. Wikimedia Commons has media related to Hulunbuir.